St. Edmund’s Prep (Forms 5 & 6) provides an education in the broadest of terms; high academic standards are very much top of the ‘to do list’ along with continued focus on the development and enhancement of each child’s personality and individual strengths. 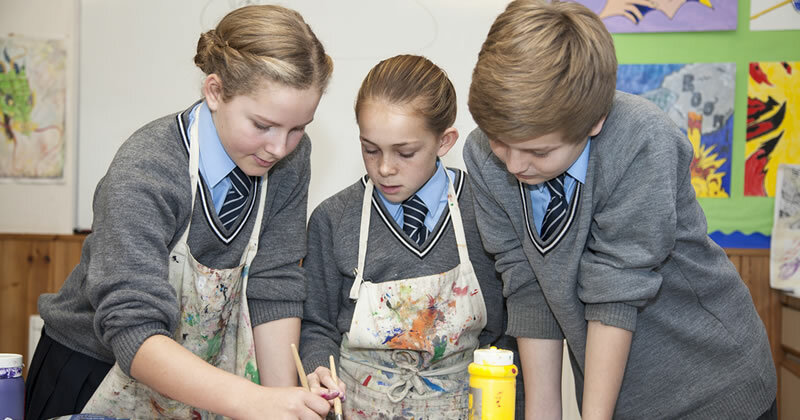 The introduction of ability based setting across all subject areas ensures each pupil has an individually tailored timetable with lessons taught by specialist teachers. The children also benefit from a personal Tutor system with each pupil meeting with their Tutor at least twice a week in small, single-gender tutor groups. The Tutors oversee the pupils’ pastoral progress and development as well as providing an active liaison with parents. There is no denying the children appreciate their meetings a great deal as they create a platform for academic reflection as well as allowing a little “me” time in what is otherwise a lively and full school day. English, Mathematics, Science, French, History, Geography, Religious Studies, Drama/Theatre Studies, Art, Music, Technology (incorporating Information Technology and Design Technology), Classical Civilisations, Spanish, Latin (and Ancient Greek by invitation) and Physical Education. Topics are brought to life a series of exciting trips, all of which are further enhanced and supported by our diverse and exceptional co-curricular programme. To find out more about life in our Prep school, please click on school life tab.